Posted by Marguerite	| August 26, 2015	. It is surprising how many people of all different ages who have had their gallbladders removed. Many are on prescription drugs after getting the surgery. Surgery is not the only solution with you have health issues. Find your Herbalist for natural advice!!! There are natural ways to help your digestive system if you had this surgery. If you had gallbladder problems before having the gallbladder removed will not stop the problem. Your body will make another little pouch to collect stones in and in about 2 years it will probably start all over. The Hi Lipase which provides enzymes will help the body deal with fats. Probably using Fat Grabbers before meals would also be good. One herbalist passed stones using only Fat Grabbers and Hi Lipase. Gall is produced in the liver and stored in the gallbladder. The gall bladder functions to concentrate the gall (by removing some of the water) and to store it until it is time to use it. The gall is secreted into the intestinal after food enters (especially fats) and does two things: 1) it emulsifies the fats making it easier for them to be absorbed, and 2) it multiplies the action of pancreatic juice by three-fold. 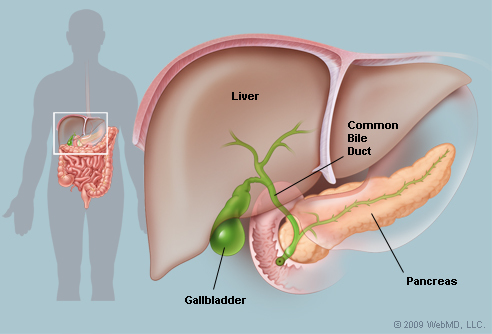 Once the gallbladder is removed, the liver continues to secrete bile which continues to flow into the intestinal tract. The liver can even develop a storage ability thus making up somewhat for the gallbladder being absent. Not having a gallbladder does not have a direct adverse affect on the liver itself. It is good to avoid too many fatty foods. Later it would be good to do a good colon cleanse. Contact me on the details for the best cleanse in town or nation or WORLD!!! – The Granddaddy Cleanse – 90 day program!!! Nature Sunshine is running shipping discounts for members now – $1 shipping on $100 orders, code: NSP. August 26-27. To become a NSP member, join for FREE with your first order.